I want to do a headdesk when I read articles like The unfaithful audience: How topics, devices and urgency affect the way we get our news. The data in it are fine, even useful. It's the premise in the headline, that the audience is "unfaithful," that drives me crazy. Let me ask you: Since when did you and your audience get married? Or even strike a civil partnership? If you're approaching your communications and marketing in a "with this product/service/cause/blog/Twitter feed/Facebook page, I thee wed" approach, I can predict a rocky future and disappointment ahead. More important, the sense that your audience is being "unfaithful" is a sure sign that you haven't reframed how you relate to your audiences. And without that understanding, you should hang up your social media and communications tools. The people formerly known as the audience are simply the public made realer, less fictional, more able, less predictable. 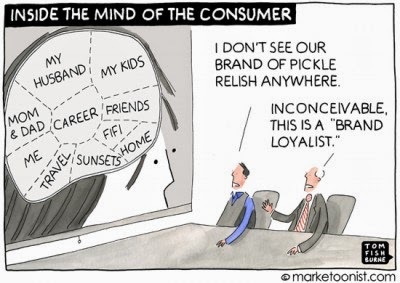 Cartoonist Tom Fishburne gets at it in Inside the Mind of the Consumer, a playful look at what would happen if marketers really could read the minds of their audiences. He writes, "It’s common for marketers to exaggerate the importance of their brands in consumers’ lives. Brand positioning statements are often written as if consumers constantly think and obsess about the brand. Social media from brands can make it sound like every consumer is a cult follower." Or spouse. No less an expert than management guru Peter Drucker said, "Marketing is not a function. It is the whole business, seen from the customer's point of view." And pollster Frank Luntz warns that measurement tools don't always get the audience right. "Yes, a poll is a useful tool for gaining insight and information, but it is only one arrow in the quiver. Without qualitative insight — talking with voters face to face to judge their mood, emotion, intensity and opinion — polls can be inconsequential, and occasionally wrong." Google engineer Cate Huston, a client of mine, gives talks like Distractedly Intimate and It's Not Me, It's You: When users break up with their apps to audiences of mobile app developers. to remind them that they're in a relationship with the users of mobile apps...but it ain't a marriage. She says, "I hate to break it to you, but their relationship with the phone is stronger than relationship with you," and describes mobile users as "In love. And also kind of drunk." And therefore, distracted. 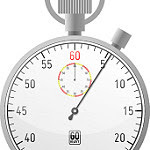 So while users are very fond, even in love with their mobile devices, they're not ready for a full-time commitment. Those developing apps for mobile platforms need to understand that drunk, distracted, intimate relationship before they figure out functionality and even purpose. No matter which platform you're working on, so do you, communicators. So do you. Of taxis and PDFs: Caught behind the curve?